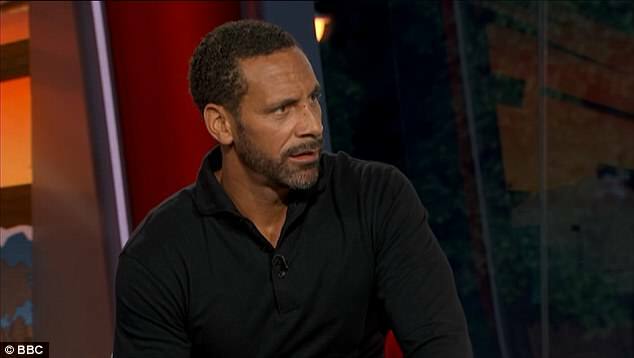 Rio Ferdinand has waxed lyrical about his former Manchester United team-mateCristiano Ronaldo. The pair played together at Old Trafford from between 2003 and 2009 and the ex-defender was full of praise of the Portuguese star. 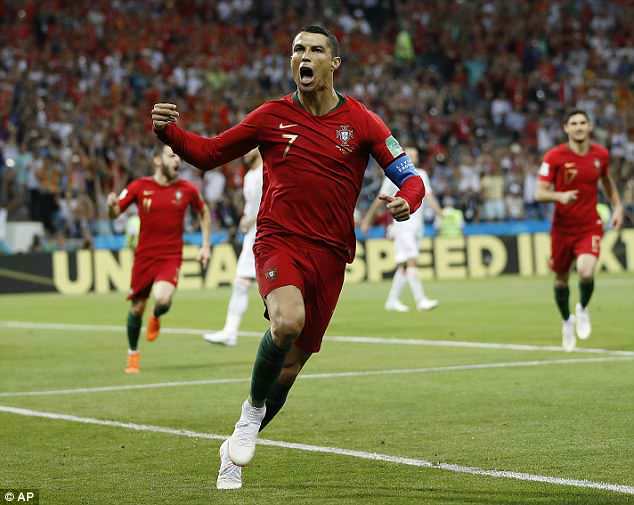 Ahead of the World Cup Group B clash between Portugal and Spain, the BBC Sport pundit revealed how much Ronaldo dedicated himself to being a world-class professional. ‘He was the first person I saw employing a nutritionist, a doctor, a personal physio, a chef,’ Ferdinand said. ‘They came and lived in his house more or less, he lived a couple of doors up from me. 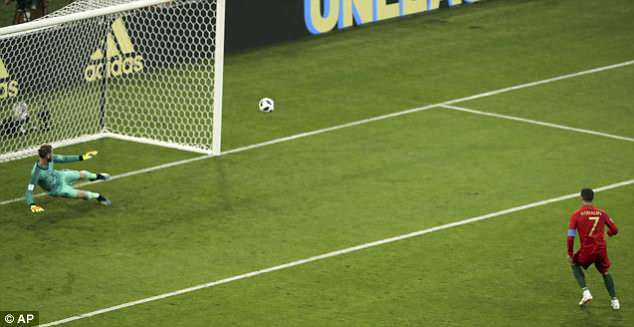 Ronaldo, who left United for Real Madrid nine years ago, has won five Ballon d’Ors and it took him just four minutes to open the scoring against Spain on Friday night from the penalty spot. ‘I feel like a fanboy if I’m honest, the way I talk about him,’ Ferdinand added. ‘He is just a ridiculous professional, take the talent and put that to one side, you can have so much talent. ‘The mentality is key to everything about Cristiano Ronaldo, to sustain that level across 10-12 years, five Ballon d’Ors, winning all these trophies that he’s got.